The B13 generation Nissan Sentra isn't a particularly memorable car in basic spec, but the factory hod rod SE-R offers an oddly fun package. The combination of a robust and torquey inline-4, good brakes, light curb weight, and limited slip differential puts the SE-R into the ugly-but-good category of used cars. Find this 1992 Nissan Sentra SE-R offered for $5,000 in Richmond, VA via craigslist. The SE-R is one of the classic FWD Japanese factory hot rods (along with the likes of the Integra Type-R, CRX Si, Corolla FX16, etc). This one has a number of upgrades and comes with a rolling parts car. 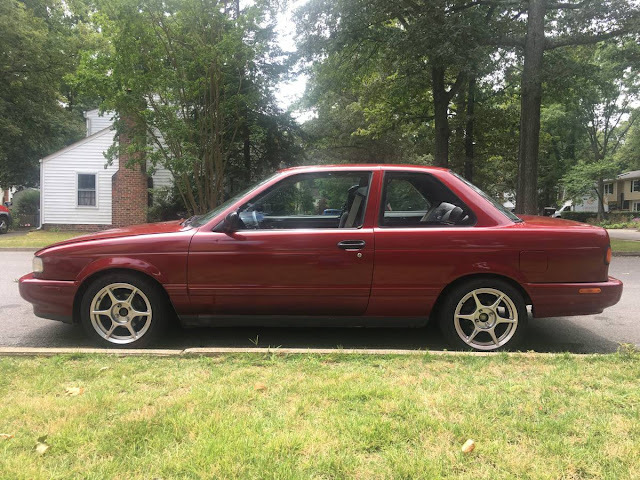 The seller says the car is a 95% rust free VA car...how bad can 5% rust be anyway? I have owned a few of these. This is one of the cars that benefits from some well chosen mods. 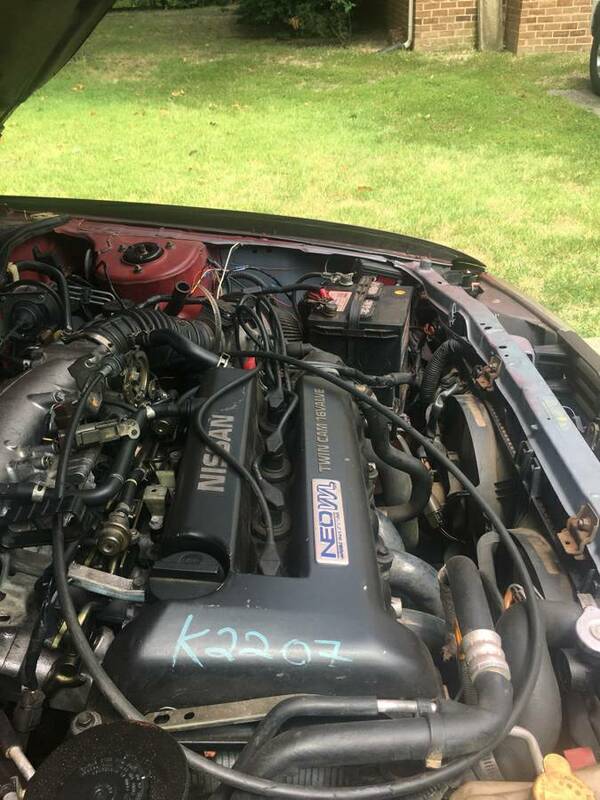 The car in the listing here has the Nissan VVL engine that revs like a Type R Integra. These VVL engines take well to boost as well.